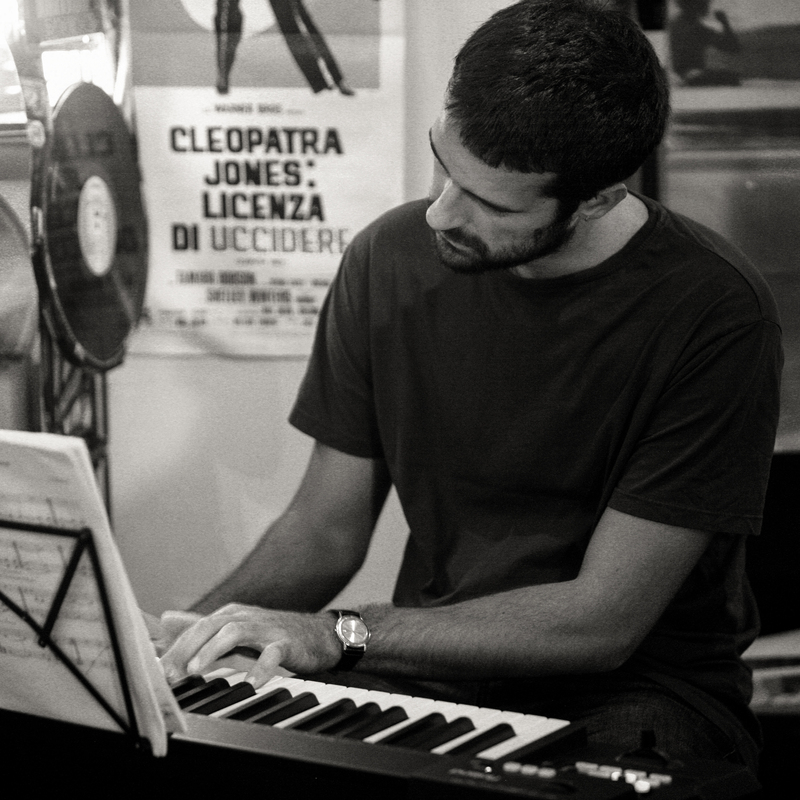 Simone Quatrana started to study piano since he was six years old. He attended the piano class at the Conservatory “Licino Refice” (Frosinone), which he left when he finished the secondary school. Reluctant to the “conventional and academic musical world” he studied piano by himself until he moved to Milan, where he had the chance to examine in depth improvisational techniques with Franco D’Andrea, Alberto Tacchini and Fabio Gianni. He also became an effective member of the Civic Jazz Band of Milan as pianist. He is involved in different projects, as a leader and as a sideman. He played across Italy and Europe with many jazz band, focusing most of all on the radical improvvisation movement and playing with Peter Brotzmann, Mikolaj Trzaska, Rudy Mahall and Ken Vandermark, with whom he recorded two albums (Rara Avis, dEn Records, 2013) and played in an European tour.